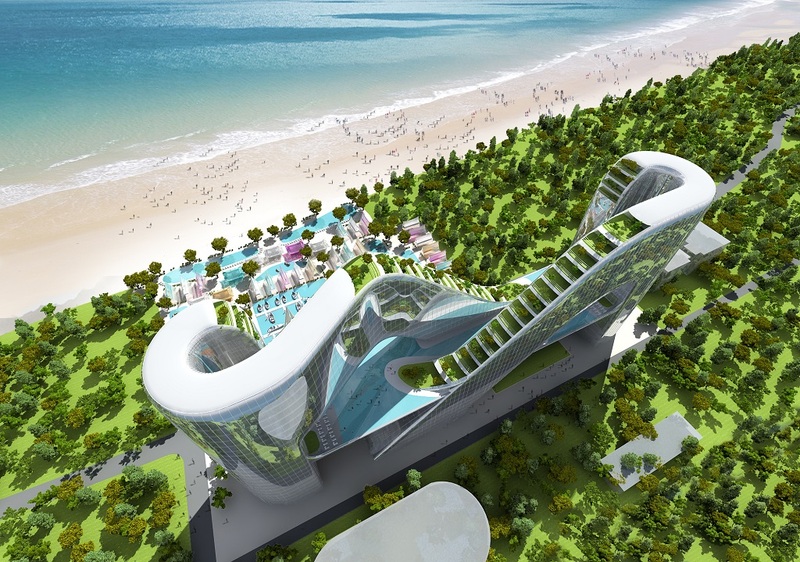 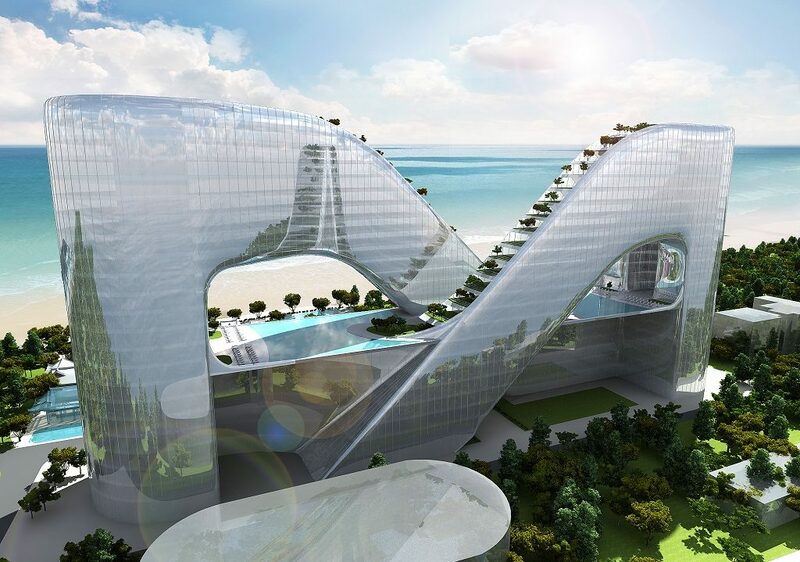 Seoul-based design firm Planning Korea has unveiled plans for a seaside hotel that will be built in time to accommodate visitors of the 2018 Winter Olympics in PyeongChang, South Korea. 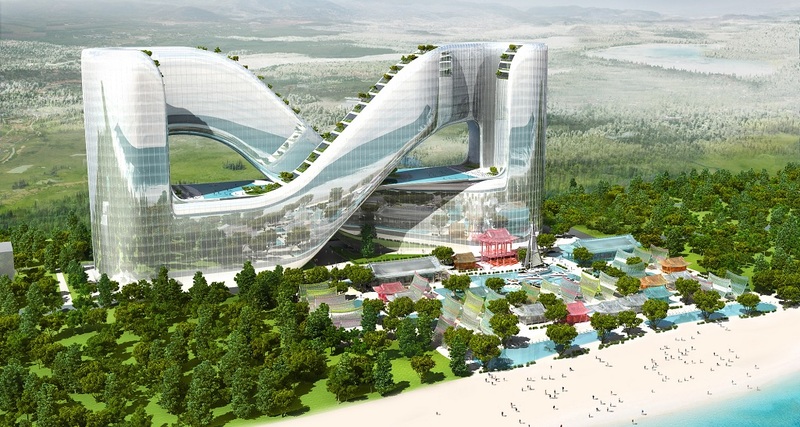 The 317,460-square-foot structure’s twisting and looping designed was supposedly inspired by plankton, but we can’t help be reminded of a giant, reflective pretzel or some sort of space-age roller coaster. 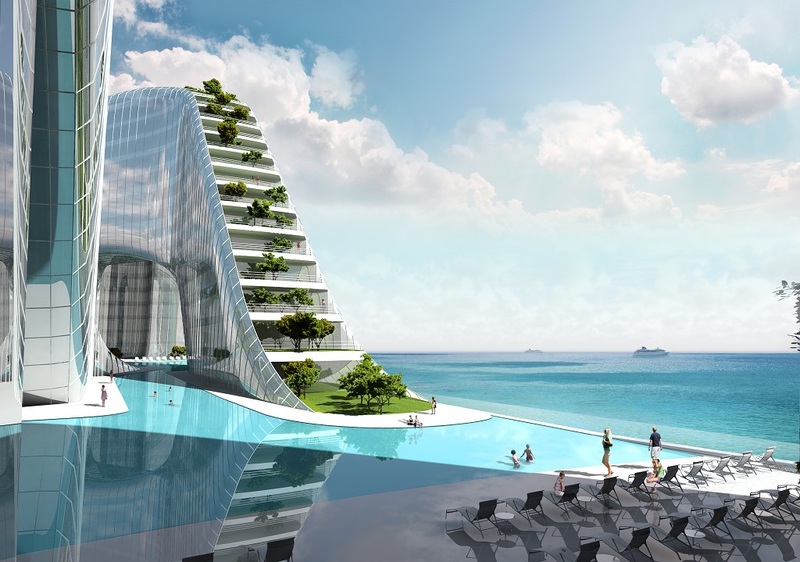 ArchDaily reports that the hotel will boast 946 guest suites and private condos, a series of rooftop and terrace gardens, restaurants, retail outlets, and a suspended swimming pool that will link the building’s dual cores. 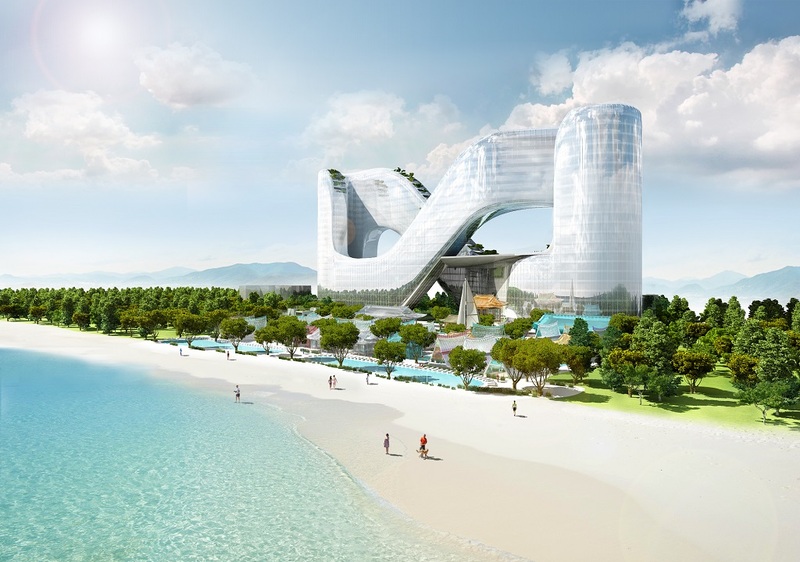 Scheduled for completion in 2018 — a fairly ambitious timeline considering construction hasn’t even started — the hotel will offer a combination of marine and mountain leisure activities for tourists during and after the 2018 PyeongChang Olympics.